Day Four of the White House Painting: Can Winslow Homer Help? A few things were bothering me about this painting after last night, so before working on it again tonight, I spent some time after work rethinking my approach to the trees given the way things were turning out. I looked more closely at Winslow Homer’s Adirondack watercolors, which have a lot of large foliage masses in the background. He varies his foliage colors a lot, even when they’re generally in loosely defined shapes. This helped me get comfortable with moving forward based on what I had in place. I looked again at my reference photo and my painting, and I realized what had been troubling me. My painting was looking a little radioactive, so I decided to tone it down. In the trees I did this by darkening with a bias towards browns, reds and warmer greens to work with the cooler greens I had in place. I have maybe two sessions left on this. I need to decide on the tree on the right (I tried to make it a forsythia bush, and darken the right side behind it, but it wasn’t working out tonight with the paints I was using–I will have to pull out my cadmium yellow I think), finish off the other trees, lay in the final shadows, and see what needs to be done when I remove the mask. I also want to try sanding to bring out some light in the background foliage because I have never done that before. This has been a very instructive effort so far. 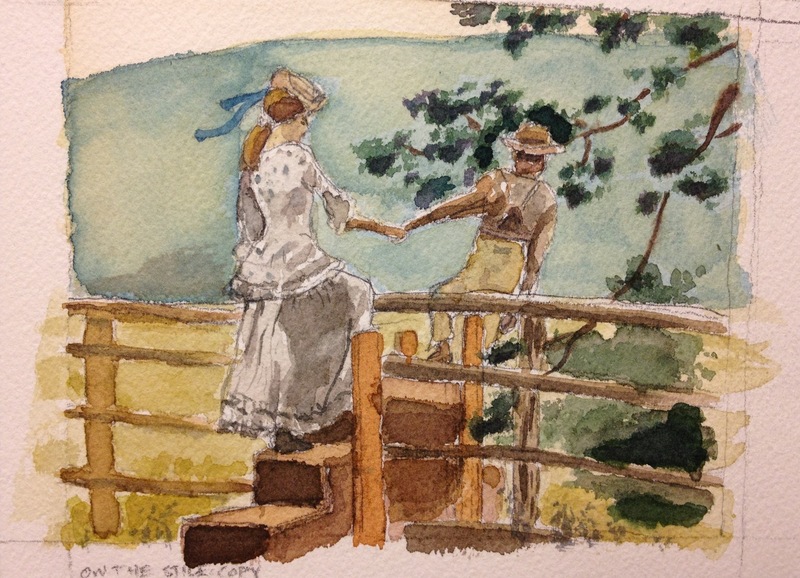 I have been taking some close looks at Winslow Homer this past week, and decided it was time to get into his painting through an attempt of my own–a copy of “On the Stile.” His style is a nice blend of freedom and precision, with a surprising hold to it. Given my last post on Quickness, the timing seemed appropriate. 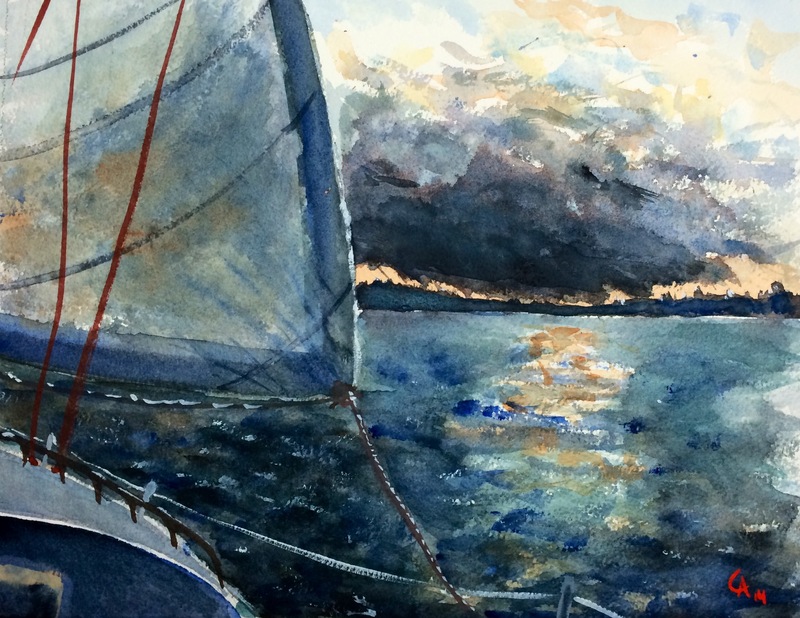 I remember when I last took up painting in high school before turning to history and literature, I copied a Winslow Homer and enjoyed it very much. That was my favorite class in high school, and I am not sure why I didn’t stick with it. I also started to appreciate classical music during that class, and it has since become a staple in the house. Looking at Homer recently, I found myself at first wondering what the “greatness” was. 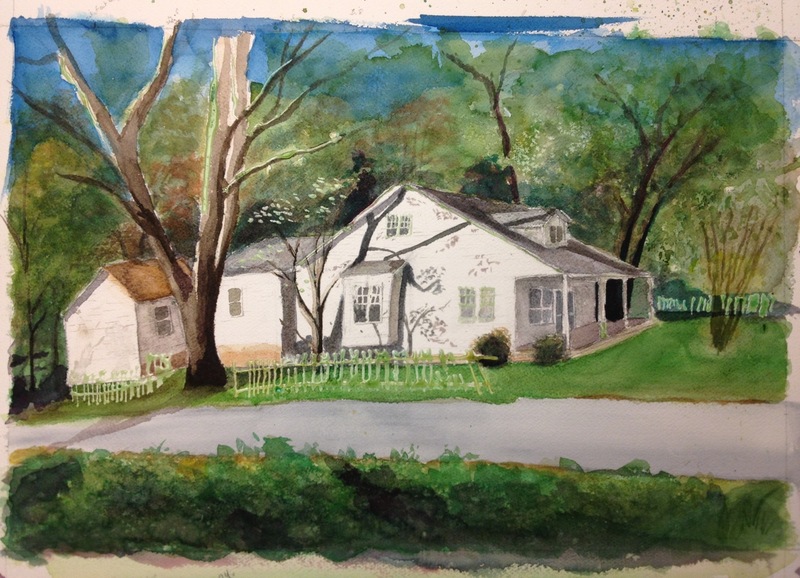 I think I see it in the sense of immediacy in his Houghton Farm watercolors. He doesn’t waste our attention on extraneous parts of the composition. I think the pastoral sophistication also has a timeless appeal, at least to me, who spent some time with pastoral literature in my last novel. 1. Use a limited palette of Prussian Blue, Permanent Yellow Deep, and Primary Red Magenta (all Maimeri Blu). I have relied on the earth pigments in prior attempts, so wanted to understand how I could get good browns and greens with only this palette. I wondered if I could get a more transparent result without the earth pigments. Also, it seemed Homer worked with these three or similar pigments for this painting. 2. Understand how Homer focused on his subjects and where he got a little more haphazard, or at least opted not to spend so much time, so I could better decide how to do the same in my paintings. I was struck by how much the perception of his paintings can change when viewed over a short period of time. At first they’re compelling, then they seem flat, then, upon closer study they become very interesting, far beyond the first impression. For example, the girl’s dress has a lot going on in his painting, and it seems so effortless. I am reminded of one of the selling points of creative writing programs: even if you don’t make it as a writer, you will be a better reader. This exercise has made me a better reader of Homer’s paintings.